Former Arsenal man Paul Merson has claimed that Declan Rice deciding to represent England is going to make it harder for West Ham to keep him. The midfielder recently announced that he would represent the Three Lions and not the Republic of Ireland. He had already played three matches for Ireland but now he will be plying his trade for England. And now, according to Merson, big clubs would be coveting him and could make an attempt in the summer as he would earn a lot more money at another club. “I just think this could be a problem for West Ham. Bigger clubs will be looking at him come the end of the season and probably are now,” he wrote. He then named the likes of Arsenal and the two Manchester clubs who need a midfielder and opined that representing England adds more value to Rice. “Manchester United and Arsenal both need a midfielder. Even Manchester City need someone to come in for Fernandinho now and then. Manchester United’s interest in Kalidou Koulibaly has been very well documented over the course of this season. 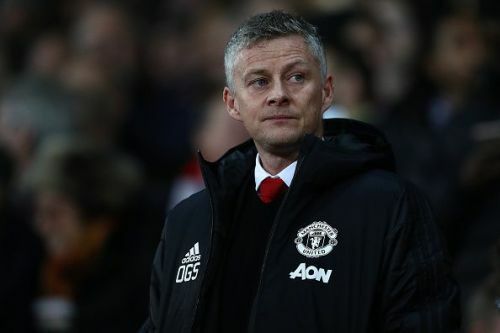 The previous manager Jose Mourinho reportedly wanted to bring him and it seems as though his sacking might not have put the Senegalese off the radar of the Red Devils. Meanwhile, the player himself spoke of the stories. He claimed that he wants to grow as a player at Napoli and felt honoured that so many teams eye him. However, his main goal is to become one of the greatest. "My future? I don’t know if I’m one of the strongest defenders. I always try to give my best,’ Koulibaly said. "Since I’m here, I always try to grow with Napoli. I have a lot of motivation to go on and I want to keep doing this. "I am pleased that many teams follow me, but I want to demonstrate on the field that I am at the level of the greatest and I want to show it in the future." Gareth Bale’s future at Real Madrid is always up for speculation. The Welshman has never truly been able to establish himself at the Santiago Bernabeu and has, as a result, been on the radar of both Chelsea and Manchester United. However, the Premier League duo have bad news as reports from Spain claim that AC Milan have made an offer for Gareth Bale. The Italian outfit want to make themselves a European powerhouse again and have targeted a €100 million move for the Welshman. Tottenham became the only club in the history of the Premier League to go an entire season without making a signing. However, it is unlikely that they would make a hattrick of signing-less windows. And now, according to reports, the Lilywhites are interested in signing Denmark defender Joachim Andersen. Sampdoria director Antonio Romei had a discussion in London as the Italian outfit are willing to sell him for €25 million. With Adrien Rabiot not keen on extending his contract with French giants PSG, he is sure that he is going to play for Barcelona next season. According to Le Parisien, the reason for his confidence is that he has an agreement with Barcelona but it isn’t signed yet. The report then goes on to add that Rabiot will be a replacement for Ivan Rakitic, who is set to leave the club this summer. The Croat has interest from Manchester United and Chelsea, and the two clubs have asked about him.